Was Your Insurance Claim Denied in Bad Faith? Insurance policies are intended to protect an individual against a substantial loss. Essentially, these contracts between policyholders and insurance companies set out the parameters that control when a loss can be reimbursed by the insurance company. If the policy is for an automobile, for example, the insurance company will typically pay out a reimbursement if the automobile is involved in an accident. 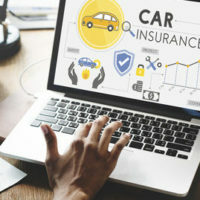 Since insurance policies are based on contract law, the terms set forth in the policy typically govern how a claim is to be analyzed and accepted or denied. In some cases, retaining the services of an insurance dispute attorney may be necessary if the insurance company decides not to follow the terms of the policy. Recently, the Florida Supreme Court held that GEICO acted in bad faith, and “failed to fulfill its obligation to [the policyholder] to use the same degree of care and diligence as a person of ordinary care and prudence should exercise in the management of his own business” when it neglected to pay out to the estate of a person killed by a policyholder in a car accident. Essentially, the insurance adjuster withheld information about the insurance policy to the estate of the decedent, violating its fiduciary duty on behalf of the policyholder. A discussion of bad faith claims against an insurance company, and the options available to a policyholder, will follow below. Pursuant to Florida law, an insurance company acts in bad faith when it fails to act according to its fiduciary duty; that is, the insurance company does not act to protect the best interests of the policyholder. In some instances, this occurs when the insurance company attempts to void the policy due to misrepresentations in the application or denies that there is a covered claim. Additionally, bad faith can occur when the insurance company does not properly evaluate the claim. Generally, insurance companies have two obligations set forth in the insurance policy. First, they must investigate any claim, and defend the policyholder against any claim or lawsuit. Second, they must reimburse, up to the coverage limits, for any damages caused by the policyholder. If the company defends a case which should have been settled, and which results in a judgment being entered against the policyholder that exceeds the policy limits, then the policyholder is typically required to pay for the damages above the policy limits. Such a course of events is typically the result of bad faith on the party of the insurance company, or even improper actions, as the case above illustrates, by the insurance adjuster. If a policyholder believes that his/her insurance company is acting in bad faith, there are a few steps that he/she can take to affirm his/her belief, although hiring an experienced insurance dispute attorney will always be the best option. Specifically, it is important to review the policy to ensure that the claim is, in fact, a covered event. Further, it is imperative to review the letter of denial. All policyholders can ask for a clarification of the reasons for denial, and if there is still a question, then it may be evidence of bad faith. Most importantly, file an appeal as soon as possible. The insurance policy will generally have a process to file an appeal, and this should be fully understood and complied with, as failure to meet a single requirement may be cause for denial. Once the above administrative procedure is complied with, and a response is not satisfactory, Florida law provides for the ability to file a legal claim of bad faith against an insurance company. Again, as stated above, if the course of action leads to this, then it is best to include an attorney having experience in insurance disputes. If you have made a claim for reimbursement from your insurance company, and are facing a denial, contact an experienced insurance disputes attorney as soon as possible. The attorneys at the law firm of Pita Weber Del Prado have experience in handling insurance disputes. We will analyze your claim to see if the insurance company acted in bad faith, and, if so, we will work to get you the compensation you deserve. Contact our Miami office today for an initial consultation.